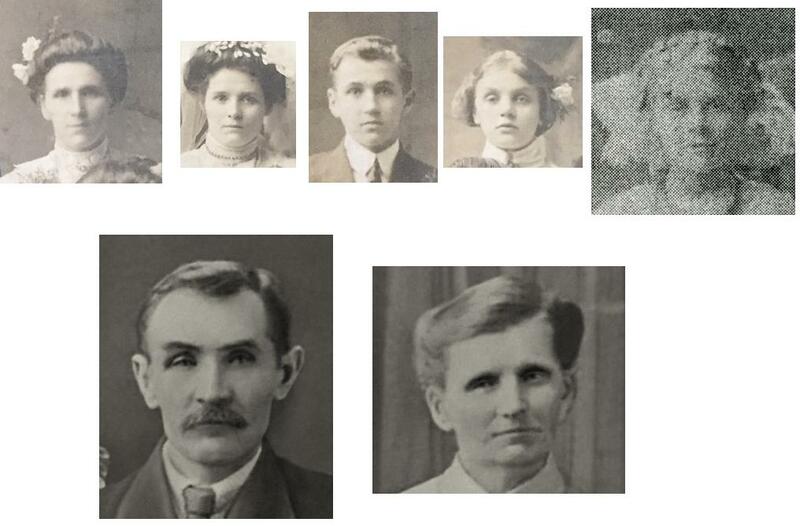 So today I just decided to take the headshots of my great grandmother and her siblings to compare them to close ups of my 2nd great grandparents. I find trying to look for family resemblances to be a fun part of genealogy. From l-r my grandmother Weronika (1885-1949), Zofia (1887-1929), Bronislaw (1895-1952), Maryanna (1898-1918) and Julia (1901-1998). Then of course the parents Adolf and Jozefa (Frackiewicz) Szymkiewicz.